A researcher at a British museum recently discovered perfectly preserved kitteh paw prints on a roof tile dating from Roman times. An archaeologist at Gloucester City Museum who was examining thousands of fragments of Roman roof tile came across the uniquely-marked fragment, which was excavated in Gloucester in 1969. Archaeologists believe a cat walked across some wet tiles which were drying in the sun in about AD 100. 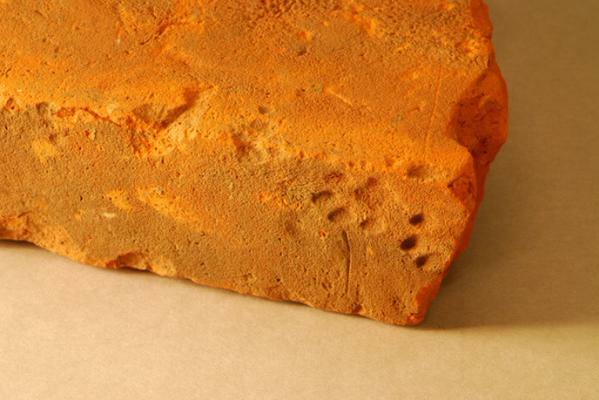 Lise Noakes of Gloucester City Council noted that “dog paw prints, people’s boot prints and even a piglet’s trotter print have all been found on tiles from Roman Gloucester, but cat prints are very rare.” Most cats, of course, prefer to keep their paws clean and dry. 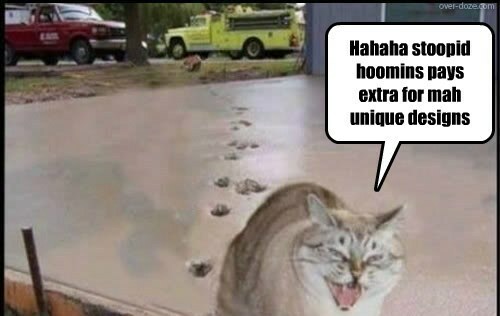 But now that they know their prints are rare and valuable, some enterprising kittehs are sure to jump into the field of custom paint and cement work. This entry was posted in Science Caturday and tagged archaeology cat, gloucester, roman archaeology, science cat. Bookmark the permalink.